If the real thing is as good as the demo, every smart-home owner will want to install these all over the house. 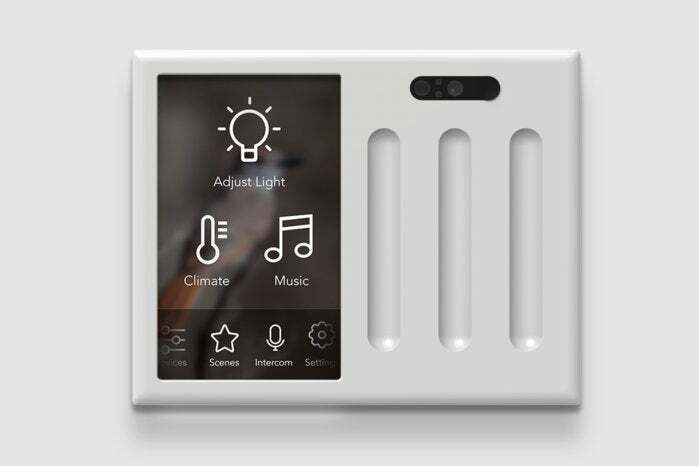 I’ve checked out a lot of smart light switches since I built my own smart home in 2007, but Brilliant’s Brilliant Control is the most exciting lighting control I’ve seen since I’ve been able to control my lights with Amazon’s Alexa. 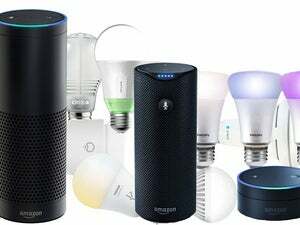 This one works with Alexa, of course—in fact, Alexa Voice Service is built in—but it also has a touchscreen; Wi-Fi and Bluetooth radios; a motion sensor; an integrated camera and microphone; and it can control much more than just lights. The Brilliant Control that will come to market in late summer consists of a 5-inch, 720x1280 touchscreen that mounts to an electrical module that fits inside your existing electrical box, replacing a dimmer or switch. In situations where you have multiple dimmers or switches clustered in a row (up to four), you can replace those other switches with a module that has touch-sensitive grooves. In addition to touch, the Brilliant Control will also respond to voice (tapping Amazon’s Alexa Voice Service, so you won’t need an Echo) and motion control. Being equipped with Wi-Fi and Bluetooth radios, it will be able to discover and control other systems, such as a Sonos multi-room audio system, a Nest thermostat, or a Ring video doorbell, according Emigh. It can also be incorporated into broader smart-home systems, including home-security systems, and with smart-home hubs such as SmartThings and Wink. The built-in motion sensor can be programmed to turn lights on automatically when you enter a dark room, or to turn lights off in an empty room. The Brilliant Control’s built-in camera and microphone will enable it to function as a room-to-room video intercom system. A built-in slider can cover the camera when it’s not in use for added privacy. 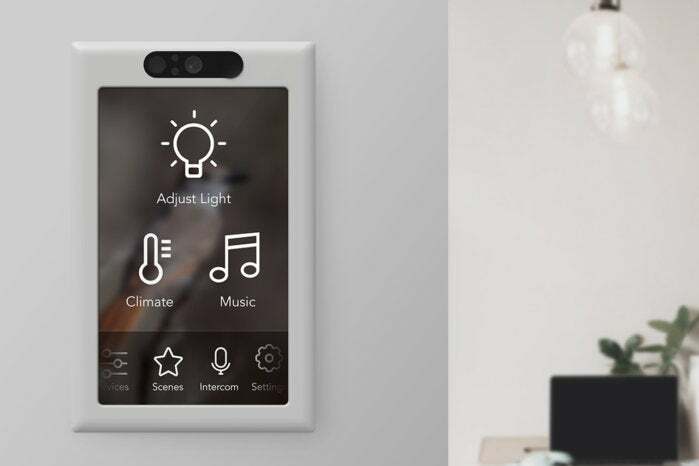 The camera “has opened up a lot of conversations with partners for future uses,” Emigh said, “such as a home security camera.” And when the touchscreen display isn’t showing smart-home controls, it can display personal photos or even animated gifs. Brilliant says it will offer seasonal and holiday themes on a monthly basis. There will also be a version of the Brilliant Control that can fit into multi-gang electrical boxes to control more than one light. Brilliant is taking pre-orders now at the discounted price of $149 for the first 1,000 customers. After that, the price will increase to $199 per unit (the company has not disclosed prices for the multi-gang models). If you live in the San Francisco Bay Area, you can get an in-person demo at the Target Open House on 4th Street when it reopens on February 10.